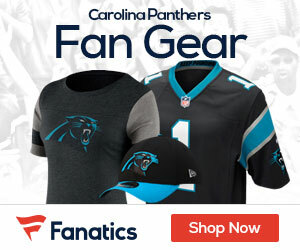 The Carolina Panthers saw their streak of eight wins in a row snapped last week against the New Orleans Saints. The 31-13 loss to New Orleans was upsetting, but not really an upset in terms of expected result. The upsetting part, though, seems to have negatively affected ticket prices for Carolina’s upcoming home game. Since the loss to the Saints on Sunday night, the average ticket price against the New York Jets this weekend has dropped 27%. The Jets are not the type of team this year to increase ticket sales on the road this season, but a decrease as much as 27% throughout the week speaks more to the disappointment in Carolina fans in the result of last week’s game. Carolina Panthers tickets for the game against the Jets on Sunday has an average price of $123 and a get-in price of $43. Along with the price drop over the past week, the average price for this game is 21% below the Panthers home average for the season. For Jets fans, this game is barely below the average for Jets tickets for road games this season at just a 3% difference. This game does have some playoff implications for both teams. Carolina needs a win to still have a shot at winning the NFC South. The Panthers need to win out, including a game next week against the Saints, and have New Orleans lose one of their two non-Carolina games against St. Louis or Tampa Bay. Either way, Carolina should be in the playoffs, but a home playoff game would be preferential over having to go on the road in the divisional round against one of the division winners. The Jets are still alive for the sixth seed in the AFC. They are currently a game behind both the Miami Dolphins and Baltimore Ravens, so a win would be beneficial as they don’t have much time remaining in the season to leap over multiple teams. One benefit the Jets can take into this game against Carolina is their Week 9 win over the Saints. Carolina has only one home game remaining after this game, which is the one against the Saints and tickets will most likely be well above average. This game could be a cheap option for both Jets fans on the road and Panthers fans at home to see their teams play at a below average price.